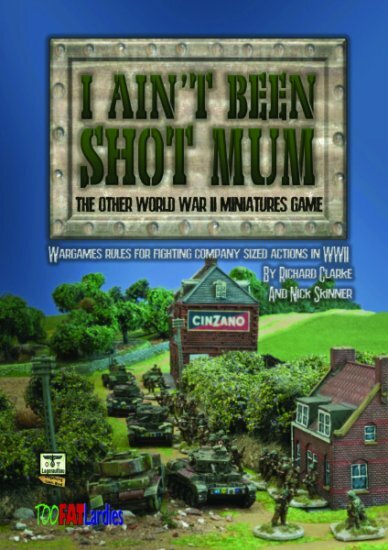 Too Fat Lardies have the new 2nd Edition of I Ain’t Been Shot Mum rules up for pre-order. IABSM is a set of WW2 tactical miniature rules. Similar to Flames of War, IABSM features squad level combat with individual vehicles. It differs from FoW in that in focuses on scenario driven missions and command and control. Too Fat Lardies have a couple of excellent articles that describe the new packages available for the game as well as what is new in the second edition. What is unique about this release is that in addition to traditional printed rulebooks, TFL are also releasing PDF and tablet editions of the rules. Also new are token sets and printed cards. Coming soon are handbooks covering the major fronts. Anyone interested in WW2 mini gaming should give these rules a look. The Meeples & Miniatures Podcast Episode 80 has a nice interview with Richard Clarke, the designer of I Ain’t Been Shot Mum.